Shockholm, Scandinavia’s largest Halloween Parade & Events is happy to announce they will be leading event communications with three new ‘Halloweeks’ Promotions. These are the Hounted Doge Costume Contest, Dracula’s Castle Tour to Transylvania and Shockholm Bites!. 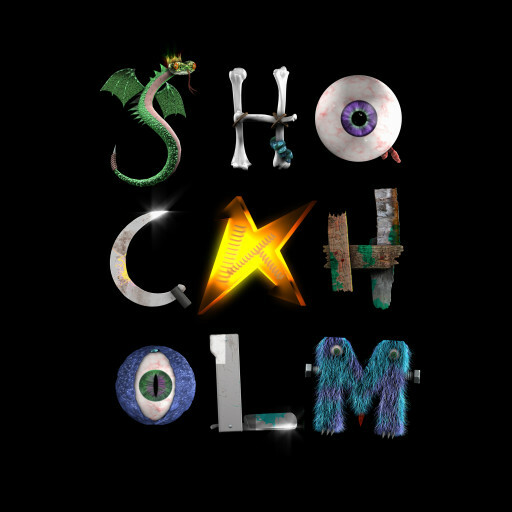 These communications extend the Shockholm celebration into the two ‘Halloweeks’ prior to Halloween—weeks 43 & 44—all leading to the climax of the Shockholm Halloween Parade, Scandinavia’s largest, on Nov 3 in Kungsträdgarden, from 15:30 - 18:30, where they are celebrated. Hounted Doge Costume Contest: Enter a picture of your Hounted Doge on the Facebook event page with the chance to win fun prizes for you and your pooch. Only 6 lucky hounds will make it to the Shockholm stage and get the chance to be the official doge of Shockholm 2018. Dracula’s Castle: A haunted travel experience in partnership with Experience Transylvania, Blue Air and Bran Castle. The tour includes travel to Transylvania, a tour of the castle that inspired Bram Stoker’s Dracula, two nights accommodations, dinner, breakfast, ground transport, and surprises. Departing starts from Stockholm Wednesday, Oct 24. Shockholm Bites! : Some of Stockholm’s best and most daring chefs will design one extremely creative dish within the theme of Creative Halloween. Diners will have a chance to savour these exclusive, limited edition custom dishes in their restaurants between Oct 18-Nov 4. Diners will vote for Best Taste, Best Presentation, and Best Concept by posting selfies on the Shockholm Bites! Facebook event page. 19 Glas & Ebenist are already confirmed, with more on the way! All above communications will be lead by a grand prize of a free package to Dracula’s Castle. Fun, games, social, charity and creativity: Shockholm Halloween Parade & Events 2018—which reached well over 5 million directly or via media last year—is just around the corner and looks forward to its 8th successful year in a row. Come one, come all, children of all ages, welcome!